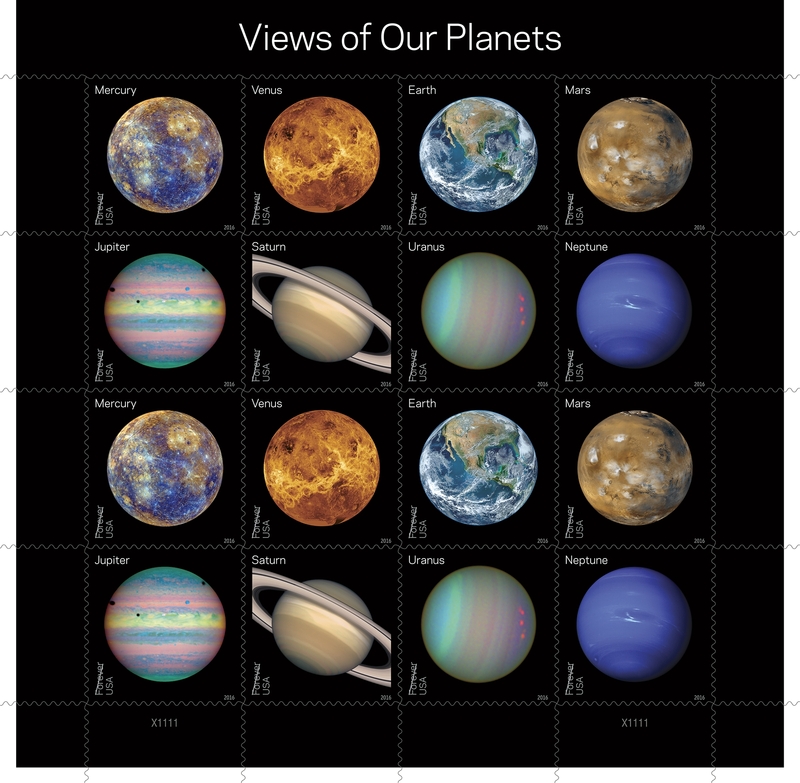 The stamp for Venus, issued as one of the eight 'Views of Our Planets' stamps in 2016, on envelope 805. The stamps are striking, so can be tough to find matching envelopes. This one is made from a calendar of watercolors. Here's a view of the full sheet. To see more stamps with a V theme, check out the links at Sunday Stamps. Both the envelope and the stamp are striking. Great match. Thanks - it was an unusual envelope, so it took me a while to connect it with a stamp. Loved this set! Happy New Year wishes to you Phillip, may we all be healthy happy and warm..! Thank you, I hope you are managing those three things so far in 2018... well, I'm guessing the warmth will have to wait until March or April. Venus I think a great contribution to today's theme! (and it reminds me of both the Roman goddess and the same-named song). 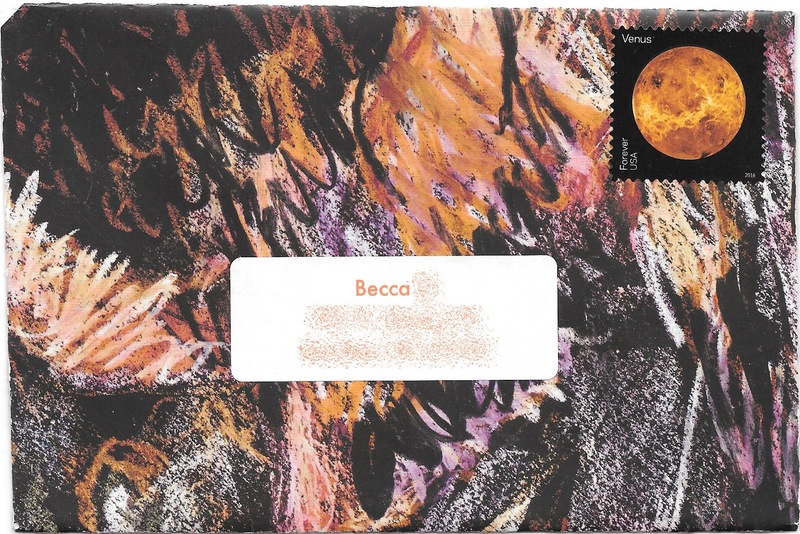 Beautiful matching combination of the stamp and envelope! I think they look stunning on any simple envelope. I have that mini-sheet of the planets. Great to see here for Venus. It's a great stamp sheet.